Intent: I wish to create a planet as a homeworld for a new race I am creating for the purpose of starting a new character from this planet. This is also meant to be the basis of how I think vampires should actually work within Star Was lore. Planet Name: Lu'um u K'i'ik'el. Region: Wild Space Near Tingel Arm. System Features: The System is governed by a single yellow sun that supports three planets including Lu'um u K'i'ik'el. Climate: Temperate. The planet still has a good amount of wild country left untouched by civilization. The K'i'ik'el enjoy the freedom of leaping through the trees while hunting wild game. Primary Terrain: Significant types of terrain can easily be found. Examples: Grassland, Mountains, Oceans, Tundras, Forests, etc. Capital City: The city Muk'óolalil was built from the ruins of the ancient civilization that existed before and is the capital of the planet where the noble houses have their homes, and where the thralls live in their own part of the city in servitude. It is the hub of the planet, where the factories build and produce various technologies and where the scientists work their own magic. Other cities and towns exist on the planet, but only a few of note. there are still secrets yet to be discovered from the ancient ruins, even in the thousands of years of exploration it has already been through. Planetary Features: The city Nonojbáij is a massive ship yard where the fleet is designed and the ships are built. There are ship yards all over the three planets, as well as in space, but this is the one of note as it creates the largest ships in space by use of space stations and orbital lifts. Umbra Mountains. The largest mountain range on the planet, featuring breathtaking views, breathtaking predators, unexplored caves, and plummeting chasms for thousands of miles. The Lunar Caves. A huge cavern and cave system underneath the Umbra Mountains, featuring billions of bioluminescent forms of life, both flora and fauna. The ceiling of the cave is a perpetual star scape from the billions of glowing creatures and plants clinging to the stone. Force Nexus (Optional): The planet itself is a dark force Nexus which supplied the power needed to create the K'i'ik'el race in the ritual performed in the cave of Enfoque which was a focal point of the nexus and is now destroyed. Intent: The force nexus is pivotal to the existence of the K'i'ik'el race. Effects: Even though the cave through which the planetary nexus was focused is destroyed, the area is still a place steeped in the force. It is saturated with negative energy which can rejuvenate a K'i'ik'el, but is usually harmful to other beings. The planet nexus itself has very neutral effects on the populace, though anyone born on the planet is likely to be born with force sensitivity. 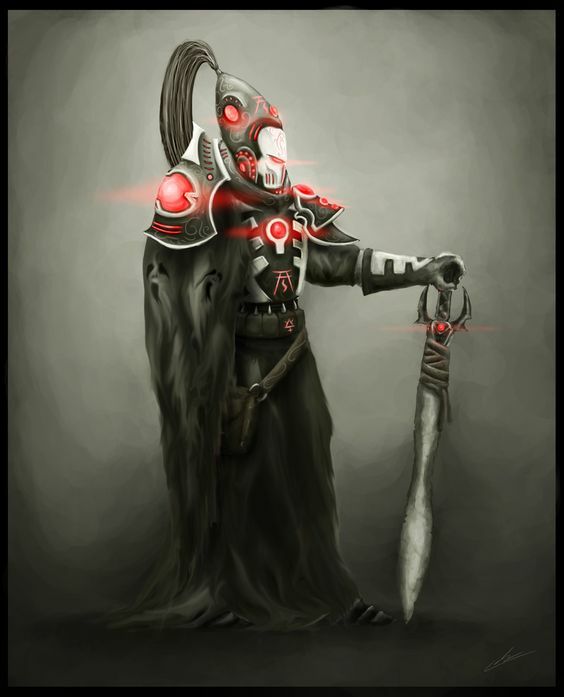 The Lycunai are believed to be the devolved remnants of the first race on this planet. They are native people who's ancestors survived the super weapon and kept their race alive, but through exposure to the dark side have changed into beasts covered with fur, with long furry tails and wolf like faces on fur covered humanoid bodies with long sharp claws and strength and speed almost equal to the K'i'ik'el. The K'i'ik'el sometimes capture and tame these monsters and use them as guard dogs. In spite of their bestial instincts and strength and tamable nature they possess a keen intelligence, able to figure out complex puzzles and devise cunning strategies to bring down their prey. The Planet is also home to many native animals that are not of particular note, but form the ecosystem of the planet. Population: Moderately Populated. while the population of the K'i'ik'el has spread across all three planets, there is still unexplored reaches and frontiers on these worlds with plenty of room for expansion. The K'i'ik'el have the ability to create more of their kind (besides natural reproduction) by turning Thralls or travelers that they deem worthy. they do this by feeding the new potential their own blood, which binds them to the one who fed them. once they consume the blood they must survive the transformation, which can be a difficult, but rarely fatal trial. Demographics: The K'i'ik'el society is not open to visitors unless they come in as diplomats (In the future), or Thralls to be fed on. The overarching population of the planet is the K'i'ik'el. With a small percentage being Thralls and the Sobreviviente. Primary Languages: Galactic Standard Basic. K'i'ik'ellien (language developed by the K'i'ik'el). The daily life on the planet is consumed with improvement, dedication, and entertainment. The K'i'ik'el enjoy a normal life of work, fair wages, good entertainment, and loyalty to their respected house. People obey the law and the police force keep the peace. Each house has it's own personal police force to enforce the internal house laws. Each house occupies a large section of the city and intermingling is allowed so long as all are aware of the laws of the territory they are entering. All the K'i'ik'el are bound to the progenitor of their house, because of the way the blood ties work for their kind. The progenitor exercises a physical power over the will of those under him as they are all of his bloodline, a member of one household cannot lift a hand against another member of their house without the knowledge or consent of the progenitor, the same applies if a K'i'ik'el attempts to lift a hand against the progenitor himself. Crimes are rarely handled with imprisonment as the K'i'ik'el are known to possess an almost endless supply of patience of the centuries. The sentencing of a crime is usually carried out immediately, the sentences range from death, to exile. Government: Theocratic Oligarchy. Ruled by twelve different noble houses which convene to form a council between the progenitors who created the K'i'ik'el race. Affiliation: Khali Strahd. Eddren Venthalis. Carmine Lucretz. Lord Vittor. Wealth: High. The three planets are rich in natural resources which keeps the K'i'ik'el'i in industry, these resources are used to fund and supply their massive technological and scientific fields which are shared between the planets and colonies within the system under the rule of the houses. The houses are separate government entities that convene to form a council that decides the fate of the planet. Infighting between the houses is tolerated, so long as it doesn't spark a drawn out conflict. Long term grudges are unheard of among the K'i'ik'el, if there is a dispute among the nobles it is usually settled quickly and in an appropriate manner according to the offense. Revenge is not entertained as an option and anyone who is wronged and has no way to get back at the offender is required to humble him/herself and continue on. This has lasted for centuries, but how much longer can it last? The Progenitor council rules by will and respect towards their people and those bound by their blood, the Thralls are hardly even a consideration and the Thralls themselves don't mind this. Travelers are not tolerated, and if they enter into K'i'ik'el space they are usually captured by the fleet, the ship taken for research, and the crew turned into Thralls where the interrogators can have a willing subject to extract information from. If someone arrived and made themselves known as a diplomat, contact would be made first and then a decision will be made after whatever transpires. The True K'i'ik'el hold positions of power and security in the noble houses. The Thralls live in slavery and service to the houses at the whims of kindness and cruelty from their masters. But the Thralls are beings manipulated by the force, so they have no freewill unless that hold is broken or their master is killed. So, they are loyal slaves that willingly subject themselves to the desires of their masters. Due to the strength and efficiency of the military and police force, no one among the slaves or other houses would desire to start a rebellion and break their great society, as such a conflict will instantly be a war to span a millennia. Thralls that have escaped from their masters control and manage to evade capture usually make their way into the wilderness where they will eventually meet with other escaped Thralls who have formed a hidden enclave where they strive to survive on whatever salvage they can find or bring back from the cities, as well as whatever can be found in the wilderness. 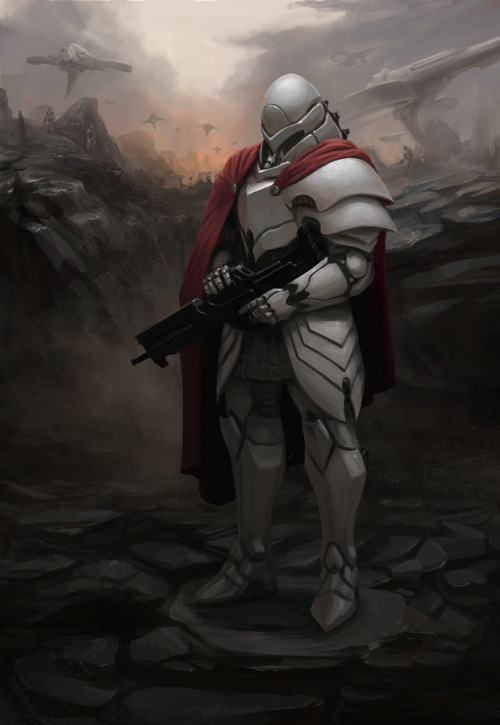 Military: The K'i'ik'el have an impressively well developed military that stands ready for the eventuality that the planet is discovered by the Jedi or Sith. All the soldiers are full blooded K'i'ik'el with all the strengths and abilities that entails. They are mostly deployed as the police force of the planet, hunting down the occasional criminal and rebel Thrall. But they spend their interminably long lives training and honing their skills in combat with enemies and each other. The system is also protected by a fleet of Star ships that is the culmination of over a millennium of K'i'ik'el technology and ingenuity. The pilots and crew are also highly efficient due to centuries of training and drills. Technology: The technology of the K'i'ik'el is extraordinary. The largest ships in their fleet moves with incredible agility, the weapons and weapons systems fire with utmost efficiency and effectiveness, the power generators supply millions more in the way of total power and efficient consumption. Everything from their hand weapons to their droids to their basic appliances is the product of over two millennia of the worlds best and brightest minds constantly at work and constantly improving on old ideas without age or death to slow progress. The Planet was discovered thousands of years before the settlers or the K'i'ik'el. The natives of the planet grew there and formed their own civilization there, forming a powerful society that spanned three planets. However, another empire, formed of unknown force users far outside of the known galaxy that had discovered the dark side, discovered these planets and attempted to conquer them. It was a short but bloody conflict involving a super weapon that gave rise to the creation of the dark force nexus on the planet. Over the centuries the planet regrew and life began to return to the surface again. The planet was settled again when refugees, seeking to escape an early sith empire fled the known galaxy to find sanctuary. They came across the ruins of this planet and found it nurtured them, so they settled and did what they could to thrive in the empty world full of ruins, lush wildlife, and diverse climates. 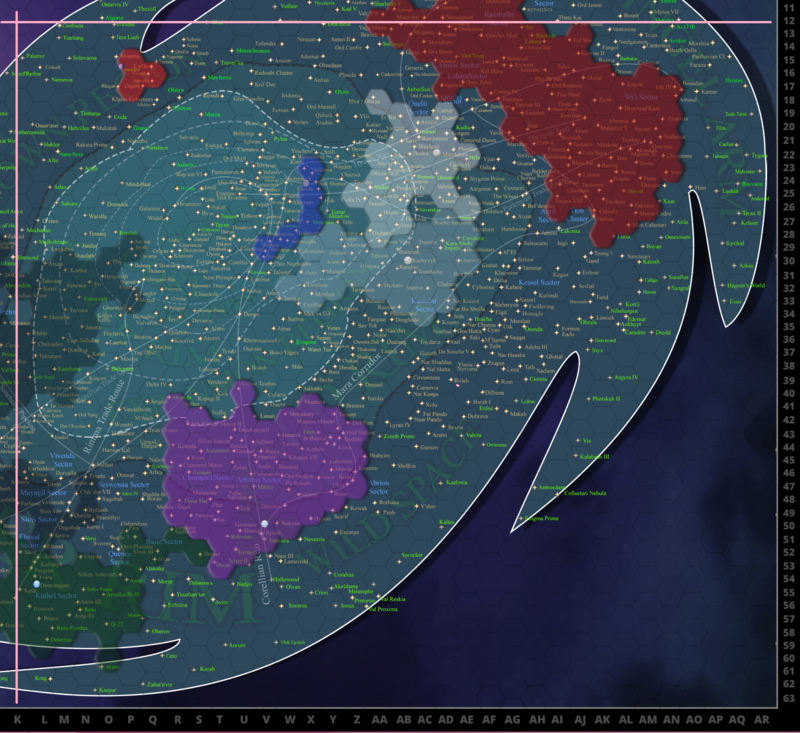 The planet was officially settled by the refugees around 6900 BBY. The arrival of the twelve sith ritualists changed the planet forever. When they arrived the settlers didn't know what to think. They met with the sith and allowed them to stay because they were here on this planet for the same reasons, but when the sith took refuge in a cave and began doing experimentation that required sacrifices and subjects for testing they began to prey on the settlers in the ruins of the ancient cities to fulfill these needs. The sith knew that they would eventually be attacked and that they had to hurry if they wanted to achieve their dream of immortality. They had come to the planet because they could sense it was a place where the dark side was especially strong, and that cave was a focal point of the dark force nexus. Inside the cave was a naturally shaped stone alter where the sith performed the ritual with the settlers breaking through the barricade in a mob fueled by righteous anger. Just as the mob entered the cave, the ritual completed, taking the lives of the mob as payment and tearing the cave apart along with the sith. The sith did not die, but emerged from the rubble as entities of blood and darkness. They retook shapes for themselves and went down into the settlements, converting the people into their new race, the K'i'ik'el. After that is history. They lived unnaturally long lives and developed technological wonders the galaxy had never seen, a civilization that stands the test of time, an army of unmatched strength and efficiency, and a collection of worlds ready to defend itself when the time comes, with devastating effect. Edited by Khali Strahd, 12 March 2019 - 04:20 PM. Edited by Zark, 04 December 2018 - 11:14 AM. Deeply sorry for the severe delay on this, the site issues plus my bad internet have made it very difficult to connect to Chaos lately, I should have passed you off to another judge but here we are and lately its been better. This planet and the accompanying species are very detailed and thought out, the only issues I am seeing here are with your Darkside nexus. The first issue is that per our planet and location creation rules, any submission that includes a force nexus requires a development thread. There is no set post limit, but this is an IC thread that can be completed solo or with others that must tell a complete story and display how the nexus is to be written. The second issue is that, having consulted with the rest of the codex team, a nexus that covers more than one planet stretches our definition too much on the largest "planetary" category of nexus. I am personally unaware of any precedent in canon, and it just seems like it would be setting a slippery precedent for us. I would ask you to tone that down to only encompass one of the three planets. Once these are taken care of, I can mark this for approval. Is there a way where I can have a natural dark force nexus? I don't know if that exists in Canon or not, but I think that would tone things down a bit, and I could just cut out most of the history I gave so I'm not just making stuff up. All I'm really looking for is some sort of force nexus that could be powerful enough to be used in the creation of the K'i'ik'el race. I guess I did kinda start out shooting for the stars, but a three planet force nexus doesn't seem so improbable in Star Wars lore when you consider the variability and power of superweapons and the area of destruction they can cover. I'm not sure what the difference is between a "natural" and "artificial" force nexus is. In either event, the submission would still require a development thread. This is a requirement for all custom force nexus on the board. I understand why the idea of a multi-planet nexus may seem like not too much of a stretch to you, but without a comparable example in canon our hands are somewhat tied here. I know that sounds arbitrary, but we have to think about the precedent this would set. If we approved a multi-planetary nexus, how long before someone wanted to submit one the size of an entire star system? A cluster? A sector? Which one is too much, where do you draw the line? These are very difficult questions to answer, so as planetary is the largest size listed in the template that is all we feel comfortable approving. I still need you to reduce it to a single planet. Edited by Zark, 17 December 2018 - 10:02 PM. Does the development thread have to be multiple messages if I'm doing solo, or can I just write the full detailed history in a single message? what would the development thread look like? How do I make a thread? There is no set post limit, so you could do it all in one shot if you wanted. The only requirements are that it must tell a complete story from beginning to end, and incorporate your planet's nexus in some way. When I make the post, do I put it in an RP thread? Yeah you can just toss it up in a private thread and then link it here when you're done, I'll give it a read. Sorry this is taking forever. Christmas and all that. Due to the ongoing nature of this sub and the Codex closing, I am moving this to Pre-Codex for now. You two can continue here as you were before. Tag me, Jairus Starvald or Srina Talon when you are done. This submission is being archived. Contact a Codex RPJ or Admin to return it to the Pre-Codex. Submission has been moved to the Codex for live judging per writer request. I should be able to convert it over within that time period. Thanks! Okay, I think I got everything converted. These are edits that I absolutely need you to make so that the submission can be approved. 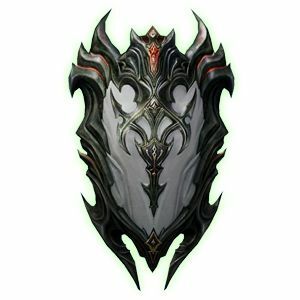 I'm not seeing the shield image anywhere on the links provided. Could you pinpoint me to where in them it is in case I missed it? If not, just add it please. K-12 is outside of the galaxy sphere (screenshot). I need you to change this to a hex that is within the galaxy please. The Weenel Falls. A second known focal point for the force nexus on Lu'um u K'i'ik'el. a cave behind the waterfall with a natural and flawlessly smooth stone floor: Weak. What do you mean by the word "weak" here? The Sobreviviente are believed to be the devolved remnants of the first race on this planet. They are native people who's ancestors survived the super weapon and kept their race alive, but through exposure to the dark side have changed into beasts covered with fur, with long furry tails and wolf like faces on fur covered humanoid bodies with long sharp claws and strength and speed almost equal to the K'i'ik'el. Is there a link to the Sobreviviente? If so, please link them. Please link to the K'i'ik'e'l'I submission. 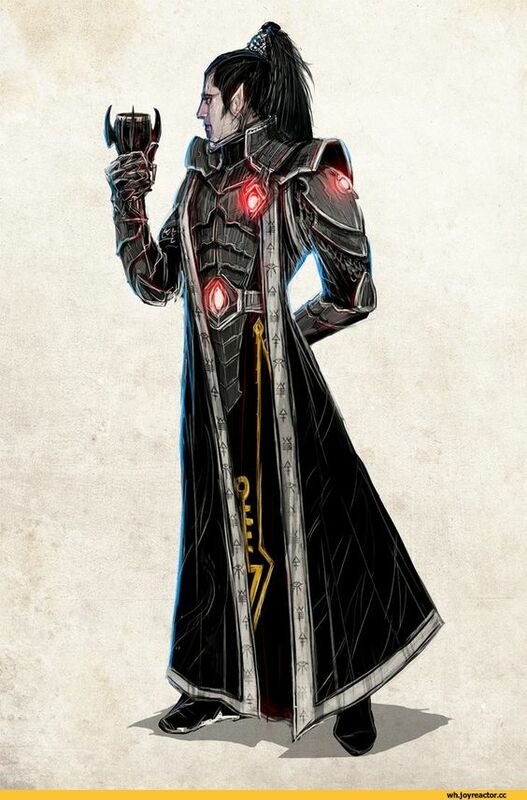 ·Affiliation: Khali Strahd. Eddren Venthalis. Carmine Lucretz. Lord Vittor. Are any of these characters? NPC's? Have submissions or character sheets? If so, please link them. These are edits that I recommend based on my experience of judging submissions, given for balance and coherency tightening, but you are not required to make them. Under Major Locations, I would advise you to add some more. For a planet such as this, surely there's more than just Weenel Falls? 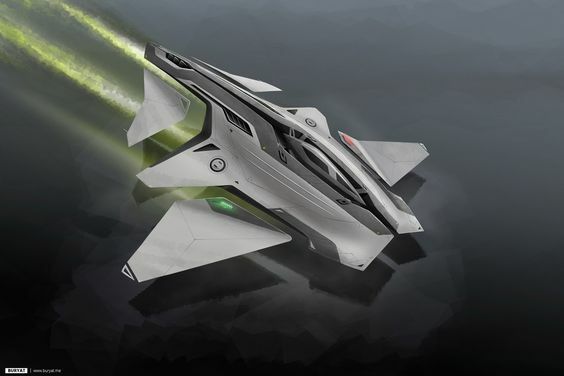 Under Military & Technology, if you have an example for one of the ships you are referring to, linking to it would be great. Edited by Scherezade deWinter, 21 February 2019 - 01:18 PM.